initiative, we hosted a live webinar a few weeks ago to help publishers learn the benefits of creating mobile-friendly sites, hear tips and case studies, and tap into new resources to get started. If you missed it, no problem! You can watch the recorded video or download the slides below. Hear from web publisher FindTheBest about the success they’ve seen from going mobile. your users and maximizing your mobile revenue. Interested in learning more? Watch the recorded webinar and download the slides. 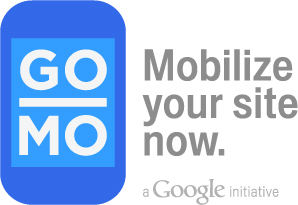 As part of Google’s ongoing GoMo initiative, we hosted a live webinar a few weeks ago to help publishers learn the benefits of creating mobile-friendly sites, hear tips and case studies, and tap into new resources to get started. If you missed it, no problem! You can watch the recorded video or download the slides below.